Can I Rely on My Online Service Provider's Backups? - Ask Leo! Can I Rely on My Online Service Provider’s Backups? You can rely on online services for many things, but it's unwise to rely on them too much. I keep all my data in a cloud which is backed up automatically by the provider. Isn’t that enough? If your data is kept only with that one online provider — be it email, online photo albums, online music collections, generic “cloud” storage, or more — there’s a good chance you really have no backup at all. The key is this: the backups online services make aren’t for your protection at all; they’re for the provider’s. It’s a very poor service provider that takes no backups at all. While it happens, it’s usually discovered immediately prior to that service going out of business. I expect it’s often the cause of that service going out of business. It’s safe to assume that major online service providers — email, cloud storage, and the like — all have backups of some sort. They have hundreds, if not thousands, of servers, and store terabytes of customer data that is almost certainly backed up on a regular schedule. Their equipment breaks down just like yours, and it’s extremely important they not suffer data loss when it does. For an online provider to lose data due to a problem under their control is inexcusable. Hence, they back up. A lot, and very likely in many different ways. Here’s the catch, though: those backups, in whatever form they take, are for their purposes, not yours. Their backups are to protect them. If their servers die, they can use their backups. If their software fails, they can use their backups. If their employees make a mistake, they can use their backups. On the other hand, if you make a mistake and delete a file, get malware, or suffer hardware failure, the service provider’s backups aren’t going to help. They weren’t made for you. There are two cases where your service provider’s backups might serve more than the service provider itself. First, they could choose to use their backups as part of a customer-facing restore option. Second, if law enforcement comes along with a warrant or court order, the service provider may be compelled to hand over their backups. This varies tremendously based on the provider, their location, and the jurisdiction of the requesting court or agency. I suspect this happens with some regularity. I mean that literally: “permanently” delete a file, an email message, a photo, or a song, and then try to use the online service’s provided tools and resources to recover it. I’ll bet you can’t. Even though you know it’s backed up somewhere, somehow, by the service provider. Your online service counts as one and only one place. Never, ever, assume anything else. Even if they did provide some kind of backup-and-restore feature, what happens if the provider suddenly shuts down? It’s happened, and if it does, both your online data and any online recovery service they offer are both gone in an instant. The only safe approach is to take control of your own backups. If your email is all online at one provider, use a desktop email program to back it up. If your photos are all online at a photo storage service, make sure to save copies before you upload. If your music is all stored online, make sure to download copies. 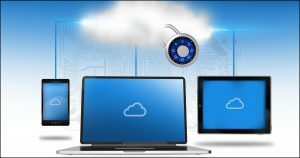 If your data is only stored in any kind of a cloud service, make certain that it is also downloaded to computers you control, and back up those computers regularly yourself. If you maintain a web site or other online presence, make sure to back it up yourself, in addition to whatever your web host may or may not provide. The only backups you truly have are those you control yourself. Is an Online Backup Service a Good Idea? - Backing up data using an online backup service can seem to be an effective solution, and it can be an important part of an overall strategy, but there are important limits and considerations. Can Backups of Email Be Hacked? - Not just email, but any information that is anywhere on "the cloud" is subject to backups. That means there is a copy somewhere. Is this a problem? 1: Web hosting companies often offer some form of customer-facing backups. Those are often limited, and quite separate from the hosting companies own backup strategies. Regardless, if the host goes away suddenly, any backups stored there go away as well. I wouldn’t rely on only one backup method, even one system image isn’t enough. A great overall strategy for backing up is what many refer to as the “3, 2, 1” approach. Do your comments in the article about OSPs and backup apply to carbonite? See the following article. The recovery process is different, but the principle is similar. No, because backup is their business. But my comment on testing still applies – always good to give it a try. Is there a difference between MS One Drive and Carbonite? I have both but we had a problem with Carbonite when we upgraded our Quick Books program – they were unable to back up. They both store your data in the cloud, but that’s pretty much where the comparison ends. OneDrive synchronizes everything you put in the OneDrive folder and synchronizes that with every computer and device you have signed into that Microsoft account on which you have OneDrive installed. It’s not clear exactly what Carbonite backs up but it uploads all of the folders they determine to be your personal folders, such as Documents, Music, Downloads, Pictures, Video etc. ‘OneDrive synchronizes…..’ – That’s an important point. Very important. I know somebody who decided to delete data from his computer in order to free up space. He thought he could do this as his data was backed up to both the cloud and an external hard drive. Both of those backups were, however, syncs so when he deleted the data from his computer, it was deleted from the cloud and external hard drive too. The cloud service had a 30-day window in which deleted files could be restored but, sadly, he didn’t notice in time to be able to do that. 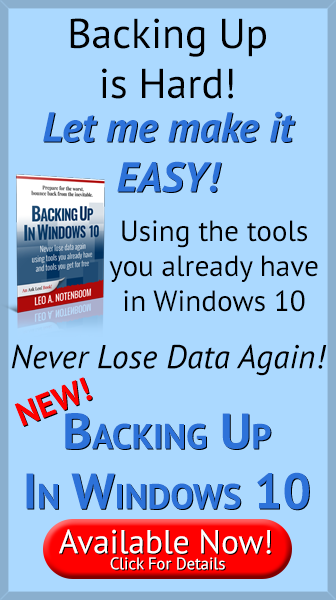 Bottom line: it’s important to understand how your backup system works. Good point. It’s important to realize that deleting a file on OneDrive, DropBox or other synchronization service deletes it from the cloud server and all synchronized devices. Do you know of any way to backup your appointments and reminders in Google Calendar? A few months ago Google was apparently making some changes to the system, and all my reminders disappeared. Only for a couple hours, but I would feel much better if I knew I could recover that information if necessary. I manually export them once a month or so. I don’t know of an automated solution. I totally agree Leo. Many people mistakenly think that sending documents etc to the Cloud is all they need to do. You can’t beat a local back up to a couple of locations (Portable HDD, thumb drive or another computer). The Cloud is part of the solution which, for many, has the additional benefit of being accessed and edited “on the run” by a PC, Laptop, Tablet or Phone. i never use online backups, have 4 of my own, and keep all up to date!!! FWIW, when I do a search in Gmail, messages that I “deleted forever” up to six years ago are suddenly back from the dead in their entirety, if they contain the search string. This may be helpful–and scary. Interesting from a backup perspective though. Except according to a corollary of Murphy’s Law, when you need them, they won’t be available. This has not been my experience. My *guess* is that you’re locating additional copies of the message that weren’t deleted. Without knowing the exact specifics it’s very hard to say why, though.